iCloud is one of the best features that is used to backup information and files in a device. However, failure of the iCloud device can be a major headache for an individual with an apple device. The value of having an iCloud backup of an iPhone, iPad or iPod is that it prevents loss of valuable content and data from the IOS gadget. One can eliminate the iCloud error messages by rebooting the device used for storage. Sometimes, an iPhone requires rebooting to make sure that it functions efficiently and appropriately. It occasionally slows down some processes after being in use for an extended period. The storage errors can be as a result of issues in the settings and data tabs. In most cases, rebooting helps to solve problems relating to the deletion of iCloud backup. An old IOS version causes problems in the storage and deletion of the iCloud backup on the iPad, iPod or iPhone. Changing the IOS version is another alternative that assists in dealing with the issue of iCloud backup. The user ought to make sure that he/she has the latest version of the IOS operating on their iPhone. Updating the existing version from the settings app is easy. A spinning wheel appears and shows that iCloud is operating. Wait for a cursor to appear and try to delete the existing backup. One can also try to log out and log in after some time in his/her iCloud account. To complete the action, one should go to the settings app, and tap on iCloud then click on sign out. After signing out, one will be required to log in after a short period. 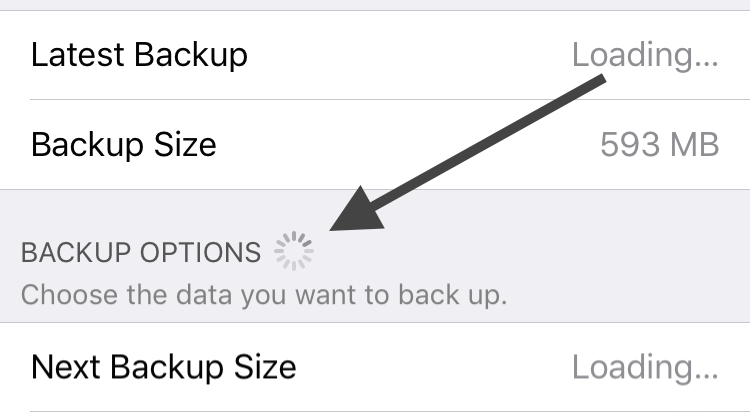 This will ensure that it is possible to delete backups from iCloud. 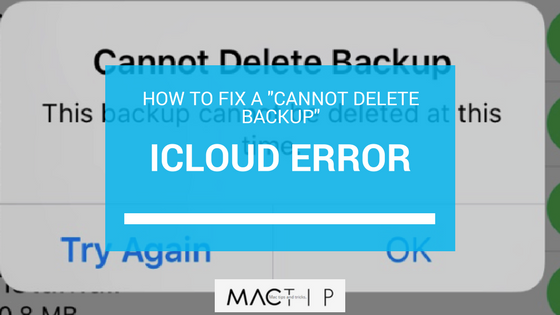 iPhone users can resolve to utilize Mac to delete backups from iCloud if it is impossible to remove them normally. One moves to Apple Menu and clicks on system preferences. Later tap on iCloud and click manage. 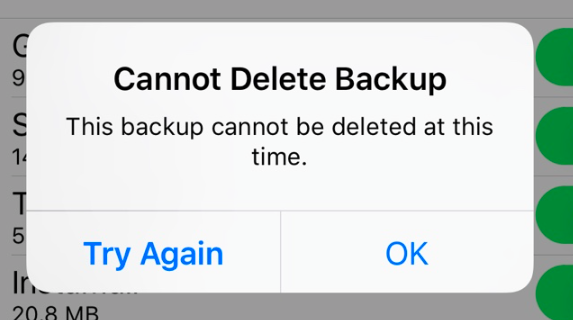 At this point, it is possible to delete the backups on iPhone with ease. An individual using Windows requires installing iCloud for PC to access the backups. A person facing problems during deletion of backups can opt to reset the gadget to factory settings. The process does not affect personal content, but it aids in the fixation of several problems in the system. The user requires to hold down the home and sleep buttons at the same time until the appearance of the apple logo. It is now possible to reset the gadget and try to delete the backups. The listed methods provide options available to fix issues relating to the deletion of iCloud backups. Individuals delete unused backups to create free space for other components, therefore, solving the issue is important. That is more helpful than the article, Thank you! finally!! some information that is actually helpful.